Year after year, in opera houses around the world, audiences are reduced to tears by the story of a young woman torn between the pleasures of material wealth and her love for an impoverished student. Manon Lescaut – whose tragedy has been retold countless times in at least two operas (Massenet’s, Puccini’s), a ballet (MacMillan’s) and a clutch of films – is, in some tellings, a prostitute, and in others a foolish young woman. However, in all versions, Manon leaves the Chevalier des Grieux, the man she loves, to become the mistress of a wealthier older man. When she finally has (another) change of heart and returns to Des Grieux, she is arrested on prostitution charges and, in most versions, deported to America. But if Manon’s story is familiar, that of the man behind the tale is anything but. 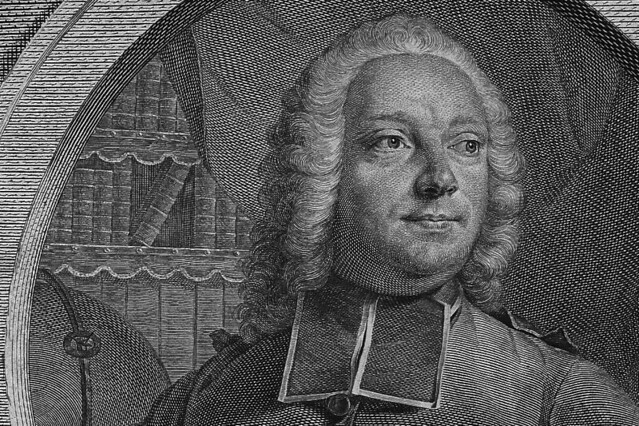 L'Histoire du chevalier des Grieux et de Manon Lescaut, first published in 1731, was the work of the Abbé Prévost – or, to give him his full name, Antoine François Prévost d’Exiles. So who was he, this priest who created Manon’s heart-breaking story of human weakness? Prévost was born in Hesdin in northern France on 1 April 1697 and spent his early years deliberating between careers in the church and in the military. By the time he finally decided to join the Benedictine order in 1721, he had twice enlisted in the army, after an education with the Jesuits. In 1726 he was ordained a priest and remained with the Benedictines until 1728, when a falling-out with the abbot sent him fleeing to England. In an introduction to his 1841 translation of Manon Lescaut, D.C. Moylon suggested a reason behind Prévost’s apparent inability to stay put: ‘The sanctity of the cloister was no protection to our young novice against the rebellious senses; with a heart too open to vain and illusory impressions, and a naturally fiery temperament, he panted for liberty’. Once in England, Prévost converted to Protestantism and worked as a tutor – a job from which he was sacked in 1730, apparently because of a love affair. He fled to Holland but came running back to London just a few years later to escape creditors, only to be briefly imprisoned for forgery. Prévost finally returned to Paris and the Catholic faith in 1735. In between fleeing creditors and zigzagging between doctrines, Prévost had somehow found the time to publish the first two volumes of his Mémoires et aventures d’un homme de qualité qui s’est retiré du monde, ostensibly the work of one Marquis de Renoncour. He continued to produce books fairly regularly until his death in Courteuil, Picardy, in 1763. On a side note, Prévost’s death – probably a fairly prosaic end – has been the source of lurid stories, including one that suggested his death was a result of an on-the-spot autopsy. Prévost is supposed to have woken up just as the scalpel was plunged in, and died from the wound.